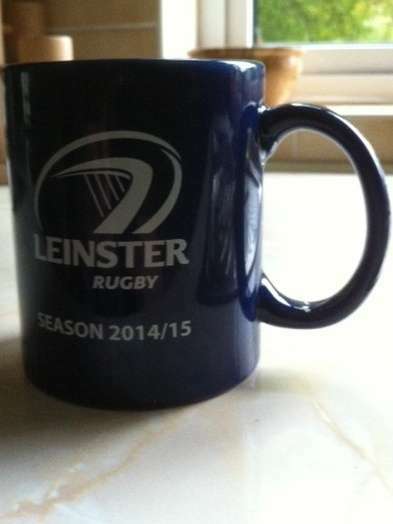 Why supporting Munster can seem attractive – For the fainthearted . . .
A grey Laois-registered jeep pulled up in the square in Mountrath and a woman wearing a rugby jersey and jeans stepped out – the jersey was the unmistakeable red of Munster, despite this being a Leinster town. Four years ago, when I moved to minister in Laois, it would have been hard to understand: why support one province when you were from another? It seemed as logical as someone from Kilkenny supporting the hurlers of Tipperary. Four years later, and it is not such a mystery. “Reverend Ian, Leinster ends at Newlands Cross”, one parishioner told me when I arrived. Firmly a Laois man, he looked towards Limerick for rugby interest. 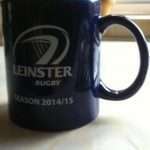 Arguing that Leinster was twelve counties, and that Leinster rugby was a branch of the Irish Rugby Football Union like the other three provinces, and that the team had a strong contingent of players from rural backgrounds was of no avail against someone determined that “Leinster” meant Dublin. Urban-rural splits and antipathies are common to every country; going to university in London thirty years ago brought a keen awareness of metropolitan attitudes to those of us who were from rural communities, and a realization that rural dwellers had their own sets of prejudices towards those who came from the big city. But this is not meant to be a town versus country rivalry, it is meant to be a rivalry between provinces, each of which have their own cities, yet there are many in rural Leinster who are happy to defy geographical boundaries. Nor does the conflict between place and loyalty cut both ways, red Munster flags may be frequent in Leinster, never have I seen a blue Leinster flag at a house in Munster. The problem lies in part with the Leinster administration, they have little regard for those of us who do not live in south Dublin. Last night’s match was scheduled for 7.35 pm, a time convenient for those who can finish their day’s work and then get the DART or drive into Ballsbridge having been home for tea or met friends for drinks. What does a 7.35 on a Friday kick off say to those of us who live in rural Leinster? It says that we really do not figure in the thoughts of the decision-makers. From Mountrath to the RDS is just over sixty miles; it took two hours to drive there last night, the greatest amount of time being spent in negotiating the Friday traffic between Newlands Cross to Ballsbridge. If Saturday fixtures are not possible, even a delay until after eight o’clock would have made it much easier, as it is, the message to those of us down the country is that our concerns do not much count in the big scheme of things. The bigger problem is the fans. There is virtually no atmosphere at many matches (shouts of “Allez les Bleus” only reinforce the perception that Leinster is alien to rural Ireland), whereas Laois people going to Thomond Park know they have been at an occasion. A Munster match is like being among a crowd in France, and anyone who has been at an ASM Clermont Auvergne match will know what that experience is like, a Leinster match can seem more like watching a county championship cricket match in England on a damp afternoon in Taunton. There is also an unveiled prejudice among some supporters. Paul Howard must only need to sit for an hour listening to some conversations to find ample material for writing tales of Ross O’Carroll-Kelly. At the Leinster versus Munster match there were some among the Leinster crowd shouting “boggers” at the Munster team; if there were ever need of a definitive statement of how they perceived themselves and how they perceived Irish rugby, their shouts would serve the purpose. To have pointed out the extensive bogland in the Midland counties of Leinster would have been to have entirely failed to realize that they perceived themselves, and Leinster rugby by extension, as metropolitan sophisticates, while those from beyond Dublin south of the Liffey were “culchies”, uncultured rustics. Had the Munster-supporting church member been there, he would have said, “Reverend Ian, I told you so. Leinster ends at Newlands Cross”. If you had decided those years ago to support the ‘us against the world’ Munster as opposed to the ‘we don’t need anyone beyond South County Dublin’ Leinster, you would have been equally disappointed this year. Rugby has sold out to the TV Networks at the expense of the fans – thus rendering Munster having so many Friday night matches already this season. With two large support bases, Friday night means a half-day for those from Cork wishing to travel to Limerick. Friday also means that one is very unlikely to bring a small child and possible future supporter – great future planning. A provincial C.E.O. has bemoaned the Friday nights on a few occasions but that is a far as it has gone – he did not publicly criticise the broadcaster; he did not encourage the supporters to boycott the broadcaster and to write letters of complaint; he did not ‘arrange’ for the Stadium owners to make it unavailable on Friday nights as there is a ground-sharing agreement in place with the tiddly-winks club as exists with soccer for many UK club venues. It may be that he wants to only have battles that he can win – in which case he should defend the indefensible of the TV scheduling. If he wishes to actually object, do something other than mild bemoaning…. I suspect that you will have a few Friday evening trips available for the remainder of the season. The difference is the number of fans who paid for season ticket but could not attend. From your calculation, it is more than the number who actually attended – a lot of no shows.